Maria Montessori (1870-1952) was the brilliant figure who was Italy's first woman physician. After innovating a methodology for working with children with disabilities, she started her Casa dei Bambini (Children's House) in 1907 for children ages 4 through 7 in a housing project in the slums of Rome. Her movement spread to other countries, especially after the Fascist regime denounced Montessori methods of education and she left Italy. In the United States, there was strong but brief interest from 1910 to 1920, but then Montessori education fell out of favor. During this time, however, the movement flourished in Europe and India. In the 1950s, American educator Nancy Rambush led a movement of renewal, and Montessori education spread as an independent school movement. Maria Montessori's approach reflects a theoretical kinship with the European progressive educational philosophers Rousseau, Pestalozzi, Seguin, and Itard. She believed in children's natural intelligence, involving from the start rational, empirical, and spiritual aspects. She saw development as a series of six-year periods, like repeating triangular waves, each with its own particular sensitivities. A constructivist, she posited an active child, eager for knowledge and prepared to learn, seeking perfection through reality, play, and work. In Montessori education, children usually are grouped into multiage classrooms spanning three years, in order to promote adult-child continuity and close peer relationships. Birth to age 3 is the time of the "unconscious absorbent mind," whereas age 3 to 6 is the time of the "conscious absorbent mind". In both, the child seeks sensory input, regulation of movement, order, and freedom to choose activities and explore them deeply without interruption in a carefully prepared (serene and beautiful) environment that helps the child choose well. During the infant-toddler (birth to age 3) and primary (age 3 to 6) years, classrooms usually have more than one teacher. To introduce new curriculum, teachers present demonstration lessons at the point when an individual or small group indicates readiness to advance in the sequence of self-correcting materials, in the areas of practical life, sensorial, mathematics, language, science and geography, and art and music. In addition, other classroom materials are created or put together by individual teachers or groups as they carefully consider their classroom observations. 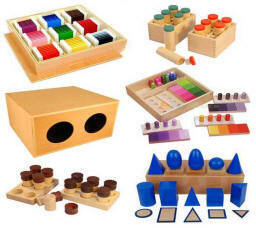 The Montessori curriculum is highly individualized but with scope and sequence and clear cut domains. The individualization results in some young children mastering reading and writing before age 6 following Montessori "writing to read" methods. Preschool children in full-day programs usually address the Montessori curriculum in the morning and typical child-care play including fantasy play in the afternoon. The Montessori teacher plays the role of unobtrusive director in the classroom as children individually or in small groups engage in self-directed activity. Based on detailed, systematic observation of the children, the teacher seeks to provide an atmosphere of productive calm as children smoothly move along in their learning, alternating between long periods of intense concentration interspersed with brief moments of recovery/reorganization . The teacher's goal is to help and encourage the children, allowing them to develop confidence and inner disciplines so that there is less and less need to intervene as the child develops. Interrupting children when engaged in purposeful activity interferes with their momentum, interest, and inner workings of thought. During the early childhood years, the teacher brings the young child into close contact with reality through sensory investigation and practical activity and then relies on the child's unfolding inner program of curiosities and sensitivities to ensure that the child will learn what he or she needs. With the younger students at each level, the teacher is more active, demonstrating the use of materials and presenting activities based on an assessment of the child's requirements. 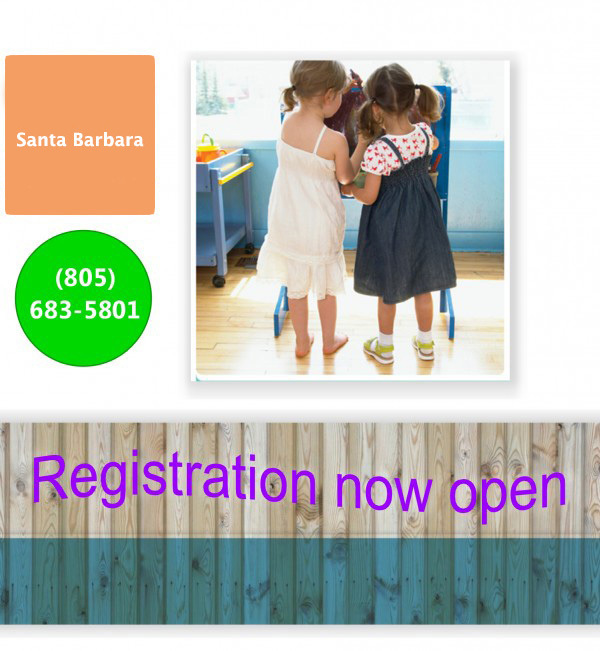 Montessori classrooms provide carefully prepared, orderly, pleasing environments and materials where children are free to respond to their natural tendency to work individually or in small groups or the videotapes and slide sets for parent education from the North American Montessori Teachers' Association. Books, toys, and materials are carefully chosen to favor refined quality and natural materials. Books present images of the real world in a beautiful way, waiting to introduce fantasy until age 5 or 6. The children progress at their own pace and rhythm, according to their individual capabilities. 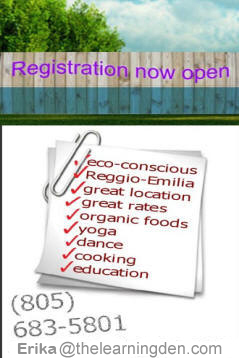 The school community as a whole, including the parents, work together to open the children to the integration of body, mind, emotions, and spirit that is the basis of holistic peace education (accepting and relating harmoniously with all human beings and the natural environment).